My girl isn’t afraid of much. She wants to become a certified scuba diver. She’s interested in skydiving. She climbs mountains like a bobcat. She can strike up a conversation with anyone in the room. Karaoke some rockin’ Taylor Swift in front of a room full of strangers? Whatevs. We all know she’s a bit fearful of the night. And her pretty pink room. And the killer stuffed animals that might be lurking under her bed. 2. 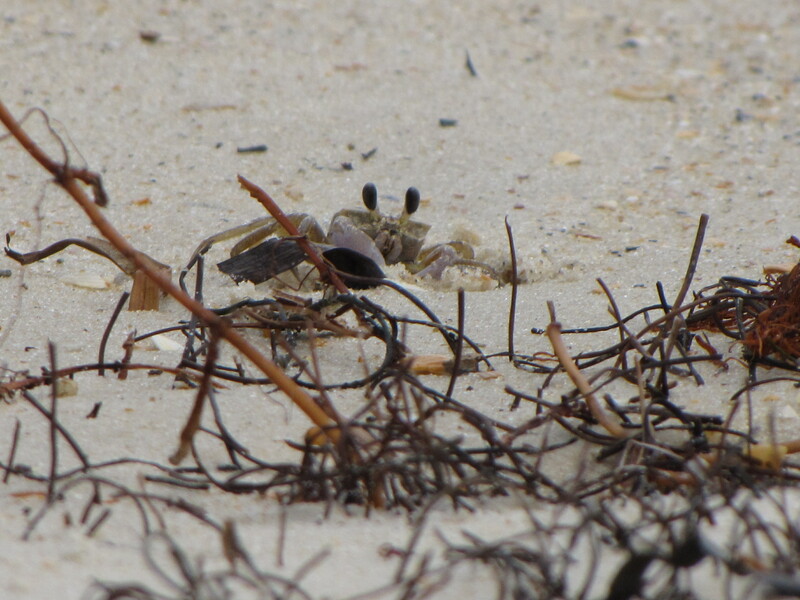 GHOST CRABS. This fear originated in Emerald Isle when we first took our flashlights and nets out to the beach at night to catch some of those fun little critters. But when they started skittering sideways… quickly… sometimes directly toward our bare feet, Mary Claire was Done. Much screaming and crying ensued, and we left her at home in front of the TV with her feet safely up on the couch for all future night walks. 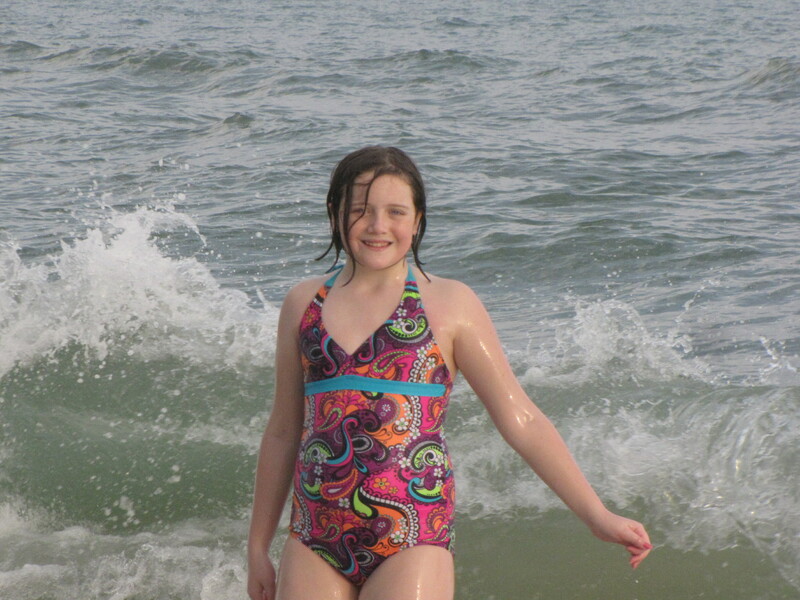 At St. George Island this year, she decided she was going to give nighttime beach walking another try. So, we grabbed our flashlights and headed out for the shore. As we approached the end of the boardwalk, her steps slowed and her heartbeat quickened. “I don’t think I want to go,” she said. “I don’t think I can do it. I think I’m scared.” Then she started wailing. “I AM scared! I hate those crabs! I HATE THEM! And I hate myself because I’m scared of them!” (Hate is a big word in her vocabulary right now even though it’s a Word We Don’t Say In This House.) And then she ran, sobbing, back to the sanctuary of our beach house and her grandparents while Chris, the boys, and I stalked the St. George Island ghost crabs. I have to admit, they can be a little creepy in their spider-like way. But I did refrain from running back to the house screaming about hate and general self-loathing. Not quite as scary in the daylight. Sam named this one "Shaq." 3. 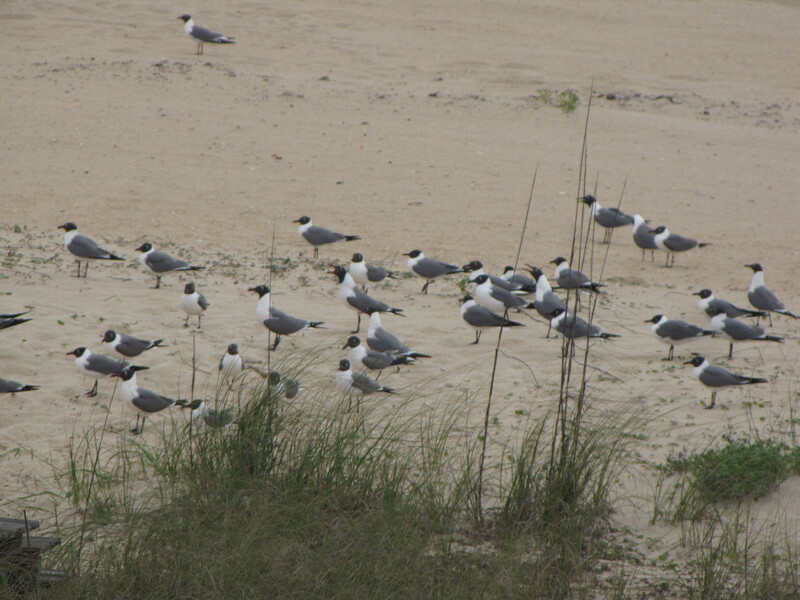 SEA GULLS. MC’s big quest was an early morning shelling adventure. Nana always asks for a shell from our beach vacations, and Mary Claire is wholeheartedly dedicated to finding Nana the perfect specimen. We missed the morning low tide on this particular day, so we headed out for an afternoon adventure. My little snacking queen grabbed a cup full of Pappaw’s famous seasoned oyster crackers for the journey. The minute we stepped out of the house, the sea gulls sniffed out those crackers like vultures. They started squawking and circling and creating a general ruckus. I could feel Mary Claire tensing up as they started coming closer. “Here, take some!” she shouted angrily as she tossed a few crackers in their direction. Of course, that only served to escalate the Wild Rumpus. Perhaps if we allow the word “hate” to be used in our house, she’ll stop using it. Looks like it’s become the quintessential forbidden fruit. This entry was posted in My Kids, We Are Family and tagged fear, forbidden fruit, ghost crabs, karaoke, moving, oyster crackers, Picture to Burn, sea gulls, Taylor Swift. Bookmark the permalink.